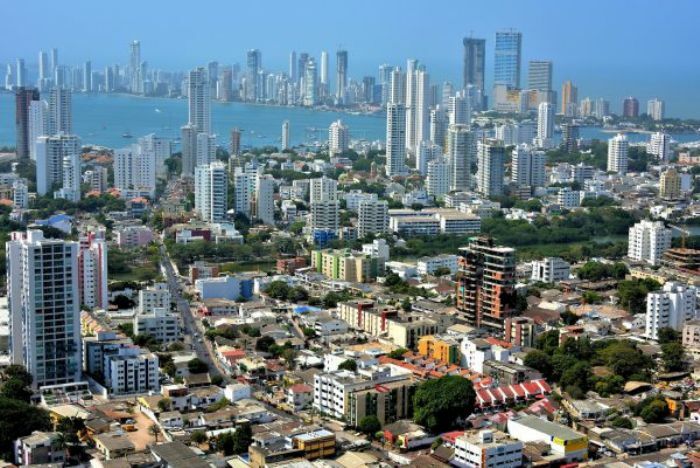 The urban development boom that has now Cartagena and its surroundings is comparable to what happened before in cities like Panama and Miami. The city currently has about 600 thousand meters on construction, and the value per square meter is between 750 thousand and 11 million pesos (US 1 = 1990 COP), localized in areas of social interest like Bayunca or Turbaco, and in the tourist area, such as the walled city, Bocagrande, Castillogrande, Manga, El Cabrero and the north zone. The momentum of the city is driven by its tourist status, its natural scenery, beaches, sun and safety conditions. The Real Estate services have created an employment opportunity for many people in Cartagena, These says Fedelonjas, asosiación which ensures that the good economic times facing the country is reflected in this sector. The new projects have a strong national and international demand, 60% of Colombian and 40% claimed by Americans, Italians, Germans and Spanish who want housing in the city. For urban curating, the traditional tourist area exhausted its capacity and investor interest now points to the north of Cartagena beyond The Boquilla sector, considered as a new model city, with extensive development and where we build new housing complexes: storey houses, which are imposed as a new style of urban planning in the city that previously had. The new architecture has ingredients Caribbean, is in tune with the environment, the setting sun and water, and the white color is imposed on the buildings now stand. In addition to new housing projects being built, today are two new shopping centers planned for the heroic city, a business center and a large power load, as well as hotel projects.